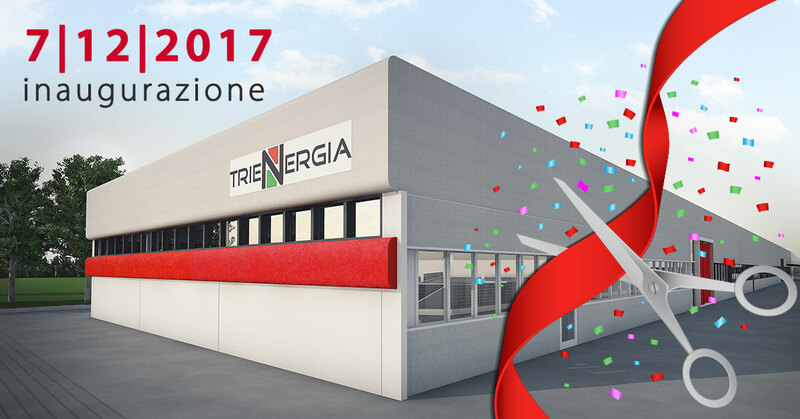 Thursday 7 December 2017: Inauguration of the first production line of Trienergia high efficiency photovoltaic modules. On Thursday 7 December 2017 we inaugurated the first production line of Trienergia high efficiency photovoltaic modules. 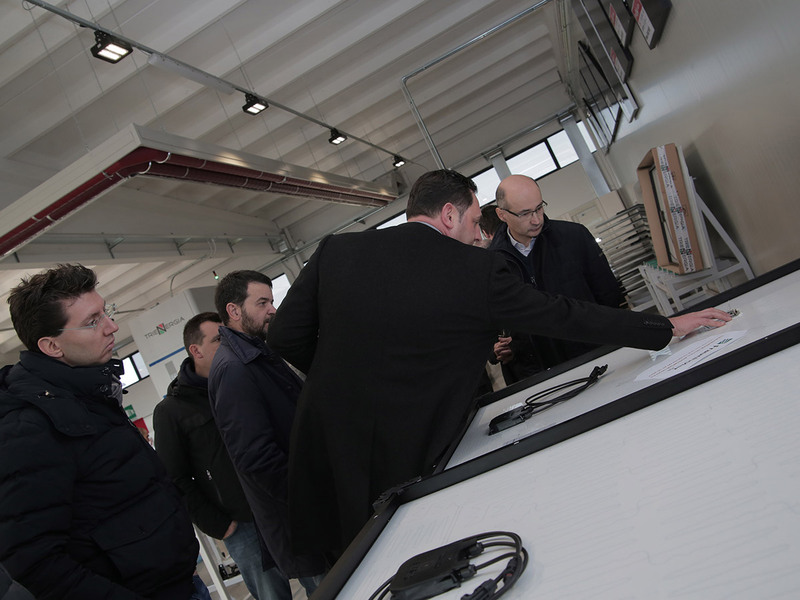 Customers, partners, employees, and friends attended the event with great enthusiasm: it is an important sign for a brand present in the market since 2008, which has always been a symbol of photovoltaic innovation. 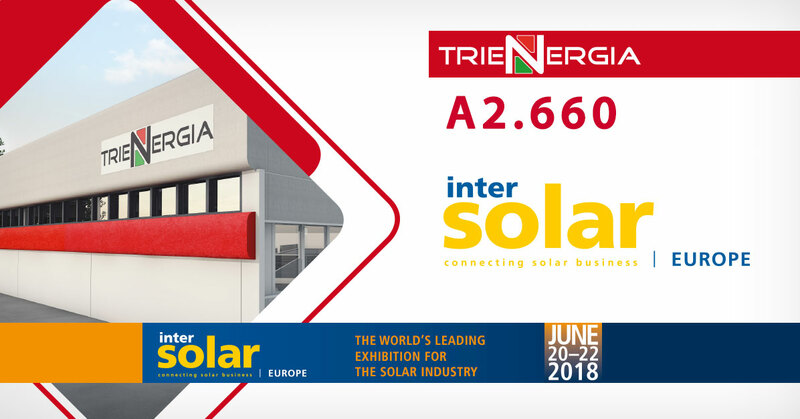 Trienergia accumulates a decade of experience in the field of renewable energy and thanks to this solid background, can be a new reliable and innovative producer, with a range of state-of-the-art photovoltaic products that respond to technical and design needs of today's market. 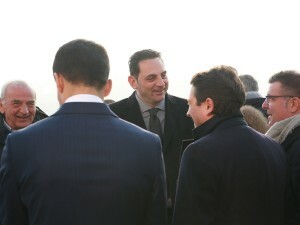 The cutting of the ribbon was preceded by the speech of CEO Giulio Arletti and the administrative manager Stefano Costa, who showed with pride and also a little emotion, the steps made up to today in order to make this production line for monocrystalline modules operational. (MWT) with backcontact technology (available in models from 21 - 42 - 60 cells). 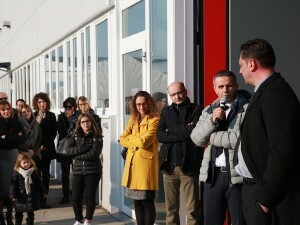 The mayors Claudio Terzi (Gonzaga) and Simona Maretti (Moglia) also congratulated the company managers for the important investment made in the area. Product range: MWT backcontact technology PV modules available in 21 - 42 - 60 cell models. The production site is located in Bondeno di Gonzaga, in the province of Mantua, and for 2018 a production capacity of 24.28 MWp is foreseen, corresponding to 14.570.496 kg / year of avoided CO2. The objective in 30 years is to avoid 6.572.276 TEP (tons of oil equivalent) and 35.145.861.120 kg of CO2. We would like to thank all those who participated in the event, being part of this important new beginning with all of us in Trienergia and Coenergia.